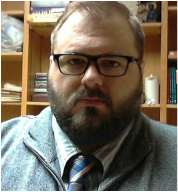 Adam Fullerton attended graduate school at the University of Wisconsin-Milwaukee where he graduated with a Masters in Library and Information Sciences in 2010. Adam joined the library team at Morningside College in 2011 after working for a year at a public library in northern Wisconsin. Adam enjoys watching films, working with technology and enjoying the outdoors when possible. Karen Johnson graduated from USD in 1995. She joined Morningside College in 2005 after a stint at Gateway computers and a year of substitute teaching. When away from work Karen enjoys gardening, baking, and watching movies. Holly received her Bachelor's of Arts in Literature and Philosophy from Northwestern College in Orange City, IA. She then attended graduate school at the University of Iowa where she received her Master's in Library and Information Sciences. Holly began working at Morningside College in 2013. Holly enjoys classic films, Doctor Who and working on craft projects. Susan graduated from the University of Nebraska-Lincoln with a degree in Accounting. She started working at Morningside College in 1996 and loves spending time with her grandson. Christie graduated with a BA in History from Northwestern College (IA) and a MA in Library and Information Science from the University of Iowa. Her background includes work in museums and archives, as well as five years in public libraries before coming to Morningside in 2008. Regina has been tutoring math in the Academic Support Center since 2000. 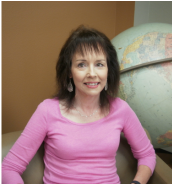 She has taught Elementary Probability & Statistics, Mathematical Understanding & Reasoning, and Intermediate Algebra at Morningside College. Regina has a bachelor's degree in mathematics and a master's degree in statistics. George started tutoring in the Academic Support Center in 2011. He taught math at the University of South Dakota and Syracuse University. He has a bachelor’s degree in mathematics and master’s degrees in geology and adult learning. George is currently teaching Intermediate Algebra at Morningside College. Nga started tutoring in the Academic Support Center in 2015. 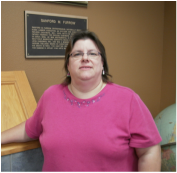 She has been tutoring math and chemistry since 2010 at Western Iowa Tech Community College (WITCC). She also teaches Applied Math and Math Skill Enrichment at WITCC. Nga has a bachelor’s degree in science and a master’s degree in chemistry. David Riley started tutoring in the Academic Support Center in 2016. He is a 1987 Morningside graduate with a bachelor’s degree in mathematics and a minor in physics. He retired from Dakota Valley High School after 27 years of teaching math and physics.